Nearly four decades after the United States government mandated the use of the terms “Hispanic” or “Latino” to categorize Americans who trace their roots to Spanish-speaking countries, a new nationwide survey of Hispanic adults finds that these terms still haven’t been fully embraced by Hispanics themselves. A majority (51%) say they most often identify themselves by their family’s country of origin; just 24% say they prefer a pan-ethnic label. 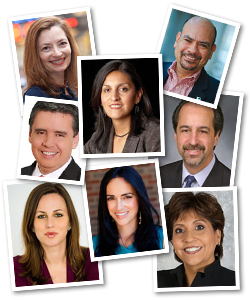 We invited journalists, scholars and civic leaders to share their views on Latino identity. Moreover, by a ratio of more than two-to-one (69% versus 29%), survey respondents say that the more than 50 million Latinos in the U.S. have many different cultures rather than a common culture. Respondents do, however, express a strong, shared connection to the Spanish language. More than eight-in-ten (82%) Latino adults say they speak Spanish, and nearly all (95%) say it is important for future generations to continue to do so. Hispanics are also divided over how much of a common identity they share with other Americans. About half (47%) say they consider themselves to be very different from the typical American. And just one-in-five (21%) say they use the term “American” most often to describe their identity. On these two measures, U.S.-born Hispanics (who now make up 48% of Hispanic adults in the country) express a stronger sense of affinity with other Americans and America than do immigrant Hispanics. The survey finds that, regardless of where they were born, large majorities of Latinos say that life in the U.S. is better than in their family’s country of origin. Also, nearly nine-in-ten (87%) say it is important for immigrant Hispanics to learn English in order to succeed in the U.S. This report explores Latinos’ attitudes about their identity; their language usage patterns; their core values; and their views about the U.S. and their families’ country of origin. It is based on findings from a national bilingual survey of 1,220 Hispanic adults conducted Nov. 9 through Dec. 7, 2011, by the Pew Hispanic Center, a project of the Pew Research Center. For a full description of the survey methodology, see Appendix A. (In this report, as in all Center reports, the terms “Hispanic” and “Latino” are used interchangeably). Latinos are split on whether they see themselves as a typical American. Nearly half (47%) say they are a typical American, while another 47% say they are very different from the typical American. Foreign-born Hispanics are less likely than native-born Hispanics to say they are a typical American—34% versus 66%. Most Hispanic immigrants say they would migrate to the U.S. again. Some 79% of Hispanic immigrants say that if they had to do it all over again, they would come to the U.S. When asked why they came to this country, more than half (55%) of immigrant Hispanics say it was for economic reasons, while 24% say it was for family reasons. After a number of years of lobbying by Mexican-American and Hispanic organizations, in 1976 the U.S. Congress passed Public Law 94-311. Called the “Joint resolution relating to the publication of economic and social statistics for Americans of Spanish origin or descent” and sponsored by Rep. Edward Roybal of California, the law mandated the collection of information about U.S. residents of Mexican, Cuban, Puerto Rican, Central American, South American and other Spanish-speaking country origins (Pub. L. No. 94-311, 1976). Subsequent directives from the Office of Management and Budget (OMB) in 1977 outlined the details of data collection for the federal government. A second OMB directive in 1997 added the term “Latino” to “Hispanic” (Rumbaut, 2006). The use of the terms “Hispanic” and “Latino” to describe Americans of Spanish origin or descent is unique to the U.S. and their meaning continue to change and evolve. Outside of the U.S., these terms are not widely used (National Research Council, 2006) and may also have different meanings. Even though OMB has developed a formal definition of Hispanicity, in practice the U.S. Census Bureau and others rely on self-reports to determine ethnicity—someone is Hispanic or Latino if they self-identify as Hispanic or Latino (Passel and Taylor, 2009). Using this method, the U.S. Census counted 50.5 million Hispanics in 2010. Most Hispanics use Spanish, but use of English rises through the generations. The survey finds that 38% of all respondents are Spanish dominant, 38% are bilingual and 24% are English dominant. Among U.S.-born Hispanics, more than half (51%) are English dominant. Hispanics believe learning English is important. Nearly nine-in-ten (87%) Hispanics say adult Hispanic immigrants need to learn English to succeed in the U.S.
Hispanics also want future U.S. Hispanic generations to speak Spanish. Fully 95% of Hispanics believe it is very important (75%) or somewhat important (20%) for future generations of Hispanics in the U.S. to be able to speak Spanish. Hispanics, more so than the general public, believe in the efficacy of hard work. Three-in-four (75%) Hispanics say most people can get ahead if they work hard. By contrast, just 58% of the general public say the same. Levels of personal trust are lower among Latinos than they are among the general public. Fully 86% of Latinos say you can’t be too careful when it comes to dealing with people. Among the U.S. general public, just 61% say the same. On some social issues, Latinos hold views similar to the general public, but on others, Latinos are more conservative. Virtually identical shares of Latinos (59%) and the general public (58%) say homosexuality should be accepted by society. However, on abortion, Hispanics hold a more conservative view than the general U.S. public—half (51%) of Hispanics say it should be illegal in most or all cases, compared with 41% of the general public. Religion is more important in the lives of immigrant Hispanics than in the lives of native-born Hispanics. Nearly seven-in-ten (69%) immigrant Hispanics say religion is very important in their lives, compared with half (49%) of U.S.-born Hispanics. Among the general population of the U.S., 58% say religion is very important in their lives. Latinos’ political views are more liberal than those of the general U.S. public. Three-in-ten (30%) Latinos describe their political views as liberal or very liberal, compared with 21% of the general public. The 2011 National Survey of Latinos (NSL) focuses on Hispanics’ identities, behaviors, views about social issues, and language use. The survey was conducted from November 9 through December 7, 2011, in all 50 states and the District of Columbia among a randomly selected, nationally representative sample of 1,220 Latino adults. The survey was conducted in both English and Spanish on cellular as well as landline telephones. The margin of error for the full sample is plus or minus 3.6 percentage points. Interviews were conducted for the Pew Hispanic Center by Social Science Research Solutions (SSRS). This report was written by Director Paul Taylor, Associate Director Mark Hugo Lopez, Pew Forum on Religion & Public Life Research Associate Jessica Hamar Martínez, and Research Analyst Gabriel Velasco. D’Vera Cohn, Cary Funk, Rakesh Kochhar, Luis Lugo, Jeffrey Passel and Greg Smith provided comments on an earlier draft of the report. The authors thank D’Vera Cohn, Cary Funk, Leah Christian, Richard Fry, Scott Keeter, Rakesh Kochhar, Rich Morin and Kim Parker for guidance on the development of the survey instrument. Gabriel Velasco and Seth Motel provided research assistance. Eileen Patten number-checked the report topline. Seth Motel, Eileen Patten and Gabriel Velasco number-checked the report. Marcia Kramer was the copy editor. “Native born” or “U.S. born” refers to persons born in the United States and those born in other countries to parents at least one of whom was a U.S. citizen. “Foreign born” refers to persons born outside of the United States to parents neither of whom was a U.S. citizen. Foreign born also refers to those born in Puerto Rico. Although individuals born in Puerto Rico are U.S. citizens by birth, they are included among the foreign born because they are born into a Spanish-dominant culture and because on many points their attitudes, views and beliefs are much closer to Hispanics born abroad than to Latinos born in the 50 states or the District of Columbia, even those who identify themselves as being of Puerto Rican origin.